combinat 1.0 Fast combinatorics functions for OCaml. gd 1.0a5 OCaml interface to the GD graphics library. ocsigenserver 2.11.0 A full-featured and extensible Web server. ocsigen-i18n 3.3.0 I18n made easy for web sites written with eliom. ocaml-sat-solvers 0.4 An abstraction layer for integrating SAT Solvers into OCaml. npy 0.0.8 Numpy npy file format reading/writing. 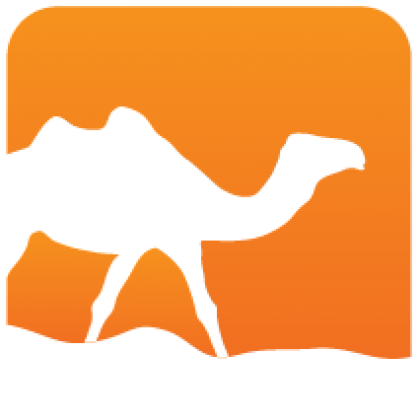 tuareg 2.2.0 OCaml mode for GNU Emacs and XEmacs. callipyge 0.2 Pure OCaml implementation of Curve25519. exenum 0.86 Build efficient enumerations for datatypes. Inspired by Feat for Haskell. ssh-agent 0.1.0 Ssh-agent protocol parser and serialization implementation. let-if 0.1.0 This ppx brings a `let%if` construct similar Rust's `if let`. qocamlbrowser 0.2.10 OCamlBrowser clone written with OCaml and QtQuick 2.
grenier 0.7 A collection of various algorithms in OCaml. ppx_gen_rec 1.0.0 A ppx rewriter that transforms a recursive module expression into a `struct`. dune_watch 0.2.0 A tool to relaunch jbuilder (or dune) when a file modification is detected via fswatch. seq base Compatibility package for OCaml's standard iterator type starting from 4.07.
cryptokit 1.13 A library of cryptographic primitives. atdgen-runtime 2.0.0 Runtime library for code generated by atdgen. glicko2 1.0.0 Implementation of the Glicko2 algorithm. functory 0.6 Distributed computing library. lutils 1.44 Tools and libs shared by Verimag/synchronous tools (lustre, lutin, rdbg). rdbg 1.175 RDBG: a reactive programs debugger. ppx_integer 0.1.0 ppx extension for integer literals with a suffix character [g-zG-Z]. fstar 0.9.6.0 An ML-like language with a type system for program verification. kremlin 0.9.6.0 A compiler from Low*, a low-level subset of F*, to C.
pa_sqlexpr 0.9.0 Type-safe, convenient SQLite database access - extension for use with sqlexpr. ppx_sqlexpr 0.9.0 Type-safe, convenient SQLite database access - extension for use with sqlexpr. sqlexpr 0.9.0 Type-safe, convenient SQLite database access. visitors 20180513 An OCaml syntax extension for generating visitor classes. regenerate 0.1 Regenerate is a tool to generate test-cases for regular expression engines. phashtbl 1.0.0 Persistent hash table library using dbm under the carpet. dbm 1.2 Binding to the NDBM/GDBM Unix "databases"
cfstream 1.3.0 Stream operations in the style of Core's API. mpp 0.3.2 A preprocessor meant to blend languages. cuid 0.1 CUID generator for OCaml. inferno 20180405 A library for constraint-based Hindley-Milner type inference. KaSim 4.0.0 Software suite for the Kappa language. leveldb 1.2.0 OCaml bindings for Google's LevelDB library. redis 0.3.6 Bindings for the key-value cache and store redis. distributed-uwt 0.1.0 A library to provide a uwt based implementation of Distributed. distributed-lwt 0.1.0 A library to provide a lwt based implementation of Distributed. distributed 0.5.0 Library to provide Erlang style distributed computations. This library is inspired by Cloud Haskell. vlq 0.2.0 A simple library for encoding variable-length quantities. choice 0.3 Monadic combinators for enumerating alternatives. portia 1.1 Literate Programming Preprocessor. traildb 0.1 OCaml bindings for TrailDB. orandforest 1.0.0 A random forest classifier based on OC4.5. oc45 1.0.0 Pure OCaml implementation of the C4.5 algorithm. TCSLib 0.3 A multi-purpose library for OCaml. treeprint 2.2.0 Small tree structure printer with operator associations and precedences. ppx_meta_conv 4.0.0 ppx_meta_conv, ppx based type_conv for various tree data formats. vpt 4.0.1 Vantage point tree implementation in OCaml. levenshtein 1.1.3 Levenshtein distance algorithm for general array. ppx_test 1.6.0 A ppx replacement of pa_ounit. socialpeek 1.0.0 OCaml library to extract social information such as Twitter cards or OpenGraph data from webpages and HTML. capnp-rpc 0.3.1 Cap'n Proto is a capability-based RPC system with bindings for many languages. capnp-rpc-lwt 0.3.1 Cap'n Proto is a capability-based RPC system with bindings for many languages. capnp-rpc-mirage 0.3.1 Cap'n Proto is a capability-based RPC system with bindings for many languages. capnp-rpc-unix 0.3.1 Cap'n Proto is a capability-based RPC system with bindings for many languages. afl 2.52b American Fuzzy Lop fuzzer by Michal Zalewski, repackaged for convenient use in opam. efl 1.20.0 An OCaml interface to the Enlightenment Foundation Libraries (EFL) and Elementary. ocaml-webworker 0.0.1 A webworker for the web that runs OCaml code which includes a modified version of Merlin to run on the web. facile 1.1.4 A Functional Constraint Library implemented in Objective Caml. dtoa 0.3.1 Converts OCaml floats into strings (doubles to ascii, "d to a"), using the efficient Grisu3 algorithm. goblint-cil 1.7.3 A front-end for the C programming language that facilitates program analysis and transformation. statverif 1.97pl1.1 StatVerif: automated verifier for cryptographic protocols with state, based on ProVerif. minivpt 2.0.0 Minimalist vantage point tree implementation in OCaml. tjr_simple_earley 2017-11-14e An implementation of an Earley-like algorithm, designed for simplicity. cryptodbm 0.84.2 Encrypted layer over the dbm library: access to serverless, key-value databases with symmetric encryption. mecab 0.0.0 An OCaml binding of MeCab, a part-of-speech and morphological analyzer. fileutils 0.5.3 Functions to manipulate real file (POSIX like) and filename. wasm 1.0 An OCaml library to read and write Web Assembly (wasm) files and manipulate their AST. ppx_bitstring 2.0.2 PPX extension for the bitstring library. rmlbuild 0.11.0-00 rmlbuild is a fork of ocamlbuild that handles ReactiveML projets. rml 1.09.05 ReactiveML: a programming language for implementing interactive systems. binbin 0.01 Convenient and human-readable bitmap manipulation. vcardgen 1.1 Simple OCaml library for generating VCards per RFC-6350. malfunction 0.2.1 Compiler back-end for functional languages, based on OCaml. prof_spacetime 0.2.0 A viewer for OCaml spacetime profiles. otetris 1.1 Tetris game implemented in OCaml language. misuja 0.0.0 A library to drive the MIDI system of the Jack Audio Connection Kit. ppx_implicits 0.3.0 ppx_implicits: ppx extension for implicits, overloading and type classes. shine 0.2.1 Fixed-point MP3 encoder. pla 1.2 Ppx templating library using verbatim strings. spoc 20170724 High-level GPGPU programming library for OCaml. dispatch 0.4.0 Path-based dispatching for client- and server-side applications. ezirmin 0.2.1 An easy interface on top of the Irmin library. dsfo 0.0.1 Download (anyhow) and interact (ocaml, utop) with common machine learning datasets. pds-reachability 0.2.1 A PDS reachability query library. river 0.1.3 A planet (feed aggregator) in OCaml. jhupllib 0.1.1 A library of tools and utilities for JHU PL lab projects. pgsolver 4.1 A collection of tools for generating, manipulating and - most of all - solving parity games. opamfind 1.2.0 Small library and tool to find out relationships between OCamlFind and OPAM packages. shared-secret 0.3 Exceptions are shared secrets. ppx_defer 0.3.0 Go-like `[%defer later]; now` syntax. arakoon 1.9.17 A distributed key-value store that guarantees consistency above anything else. opam_of_packagejson 0.1.2 Simple tool to generate META, opam and .install files. jsoo_broadcastchannel 1.1 Jsoo_broadcastchannel is a binding for the BroadcastChannel API for Js_of_OCaml. abt 0.0.3 OCaml port of CMU's abstract binding trees. unix-type-representations 0.1.1 Functions that expose the underlying types of some abstract types in the Unix module. ppx_fun 0.0.4 ppx_fun is PPX rewriter that provides simplified syntax for anonymous functions via extensions: `[%f ...]` and `[%f_ ...]`. subtype-refinement 0.1 Refinement types encoded with private types in OCaml. base-flambda base Virtual package relying on Flambda. hlarp 0.0.3 Normalize and compare HLA typing output. base-implicits base Dummy base package for compilers with modular implicits support. trakeva 0.1.1 Transactions, Keys, and Values; with Postgresql and/or Sqlite. Camldiets 0.2 A highly efficient OCaml set implementation for fat sets, i.e. densely populated sets over a discrete linear order. simple-diff 0.3 Simple_diff is a pure OCaml diffing algorithm. graphicspdf 2.2.1 Version of OCaml's Graphics library which outputs PDFs. posix-types 0.1.1 ctypes-compatible type representations for the types exposed in <sys/types.h>. ppx_distr_guards 0.1 Extension to distribute guards over or-patterns. sessions 0.1.0 Library to provide session types to allow for static verification of protocols between concurrent computations. opam-build-revdeps 0.1.0 Build reverse dependencies of a package in OPAM. sendmsg 0.0.2 π-calculus? In _my_ kernel? cordova-plugin-push-notifications 1.1.2 Binding OCaml to phonegap-plugin-push using gen_js_api. cordova-plugin-fcm 1.0 Binding OCaml to cordova-plugin-fcm using gen_js_api. ocamlpp 1.1 OCaml binary files (.byte and .cmo) pretty printers. netml 0.1.0 Network packets authoring and parsing toolkit. jwt 0.1 Implementation of JWT in OCaml. xxhash 0.1 Bindings for xxHash, an extremely fast hash algorithm. ISO8601 0.2.5 ISO 8601 and RFC 3339 date parsing and printing. cordova-plugin-sms 1.0 Binding OCaml to cordova-plugin-sms using gen_js_api. cordova-plugin-social-sharing 1.0 Binding OCaml to cordova-plugin-x-socialsharing using gen_js_api. cordova-plugin-statusbar 1.0 Binding OCaml to cordova-plugin-statusbar using gen_js_api. cordova-plugin-toast 1.0 Binding OCaml to cordova-plugin-toast using gen_js_api. cordova-plugin-touch-id 1.0 Binding OCaml to cordova-plugin-touch-id using gen_js_api. cordova-plugin-vibration 1.0 Binding OCaml to cordova-plugin-vibration using gen_js_api. cordova-plugin-videoplayer 1.0 Binding OCaml to cordova-plugin-videoplayer using gen_js_api. cordova-plugin-media 1.0 Binding OCaml to cordova-plugin-media using gen_js_api. cordova-plugin-media-capture 1.0 Binding OCaml to cordova-plugin-media-capture using gen_js_api. cordova-plugin-network-information 1.0 Binding OCaml to cordova-plugin-network-information using gen_js_api. cordova-plugin-progress 1.0 Binding OCaml to cordova-plugin-progress using gen_js_api. cordova-plugin-qrscanner 1.0 Binding OCaml to cordova-plugin-qrscanner using gen_js_api. cordova-plugin-screen-orientation 1.0 Binding OCaml to cordova-plugin-screen-orientation using gen_js_api. cordova-plugin-sim-card 1.0 Binding OCaml to cordova-plugin-sim-card using gen_js_api. cordova-plugin-geolocation 1.0 Binding OCaml to cordova-plugin-geolocation using gen_js_api. cordova-plugin-globalization 1.0 Binding OCaml to cordova-plugin-globalization using gen_js_api. cordova-plugin-image-picker 1.0 Binding OCaml to cordova-plugin-image-picker using gen_js_api. cordova-plugin-inappbrowser 1.0 Binding OCaml to cordova-plugin-inappbrowser using gen_js_api. cordova-plugin-insomnia 1.0 Binding OCaml to cordova-plugin-insomnia using gen_js_api. cordova-plugin-keyboard 1.0 Binding OCaml to cordova-plugin-keyboard using gen_js_api. cordova-plugin-loading-spinner 1.0 Binding OCaml to cordova-plugin-loading-spinner using gen_js_api. cordova-plugin-local-notifications 1.0 Binding to cordova-plugin-local-notifications using gen_js_api. cordova-plugin-camera 1.0 Binding OCaml to cordova-plugin-camera using gen_js_api. cordova-plugin-dialogs 1.0 Binding OCaml to cordova-plugin-dialogs using gen_js_api. cordova-plugin-email-composer 1.0 Binding OCaml to cordova-plugin-email-composer using gen_js_api. cordova-plugin-file 1.0 Binding OCaml to cordova-plugin-file using gen_js_api. cordova-plugin-file-opener 1.0 Binding OCaml to cordova-plugin-file-opener using gen_js_api. cordova-plugin-file-transfer 1.0 Binding OCaml to cordova-plugin-file-transfer using gen_js_api. cordova-plugin-activity-indicator 1.0 Binding OCaml to cordova-plugin-activity-indicator using gen_js_api. cordova-plugin-background-mode 1.0 Binding to cordova-plugin-background-mode using gen_js_api. cordova-plugin-barcode-scanner 1.0 Binding OCaml to cordova-plugin-barcode-scanner using gen_js_api. cordova-plugin-battery-status 1.0 Binding OCaml to cordova-plugin-battery-status using gen_js_api. cordova-plugin-clipboard 1.0 Binding OCaml to cordova-plugin-clipboard using gen_js_api. cordova-plugin-datepicker 1.0 Binding OCaml to cordova-plugin-datepicker using gen_js_api. cordova-plugin-device 1.0 Binding OCaml to cordova-plugin-device using gen_js_api. cordova-plugin-device-motion 1.0 Binding OCaml to cordova-plugin-device-motion using gen_js_api. cordova-plugin-device-orientation 1.0 Binding OCaml to cordova-plugin-device-orientation using gen_js_api. ctypes-build 0.0.2 Support for building Ctypes bindings. primes 1.3.5 A small library for dealing with primes. ocplib-endian 1.0 Optimised functions to read and write int16/32/64 from strings and bigarrays, based on new primitives added in version 4.01.
ocplib-resto 0.1 Minimal OCaml library for type-safe HTTP/JSON RPCs. iocaml 0.4.9 A webserver for iocaml-kernel and iocamljs-kernel. dog 0.2.1 A loyal and faithful synchronisation tool that you can rely on. inotify 2.3 Inotify bindings for ocaml. utp 0.9.0 OCaml bindings for [libutp](https://github.com/bittorrent/libutp). oni 1.0.12 Oni - assorted components for low-level networking. slack-backup 0.1 Small tool to backup IM and channels from slack. atdj 20151001.01.2 Java code generation for ATD. ocveralls 0.3.4 Generate JSON for http://coveralls.io from bisect code coverage data. http_router 0.1.2 Simple http router for cohttp and async. pareto 0.3 GSL powered OCaml statistics library. prob-cache 1.1.0 Polymorphic probability cache API, including a distributed riak backed cache. ppx_monoid 0.2 A syntax extension for easier building of values of monoids. cmark 0.2.0 OCaml bindings for the CMark Common Markdown parsing and rendering library. lpi 0.0.2 A REPL and library for a small dependently-typed language. spotinstall 1.2.1 A tool to facilitate the installation of OCaml annotation files (.cmt, .cmti, .spot, .spit). oclaunch 0.3.0-pre1 Command-line program allowing you to launch program on a human basis. Don't let a clock plan things! pa_typerep_conv 113.00.01 typerep is a library for runtime types. camlhighlight 5.0 Camlhighlight provides syntax highlighting facilities for OCaml applications. ccss 1.6 CCSS is a preprocessor for CSS, extending the language with arithmetic operations and variables. ocamleditor 1.13.4 OCamlEditor is a GTK+ source code editor and build tool for OCaml. dead_code_analyzer 0.9 dead_code_analyzer -- Dead code analyzing tool. iocaml-kernel 0.4.8 An OCaml kernel for the IPython notebook. nproc 0.5.1 Process pool implementation for OCaml. jitsu-libvirt 0.0.1 Virtual package for installing Jitsu with a libvirt backend. jitsu-libxl 0.0.1 Virtual package for installing Jitsu with a libxl (xenctrl) backend. jitsu-xapi 0.0.1 Virtual package for installing Jitsu with a Xapi (xen-api-client) backend. monadlib 0.2 A starter library for monads, with transformers and applicatives. irmin-indexeddb 0.3 This is an Irmin backend that stores the data in the web-browser's IndexedDB store. minilight 1.6 Minimal global illumination renderer. spreadsheet 0.1 Functor for parsing and building spreadsheets. coccinelle 1.0.2 Coccinelle is a C source code matching and transformation engine. gavl 0.1.6 Bindings for the gavl library which provides functions for converting images formats, colorspaces, etc. lambdoc 1.0-beta4 Library providing support for semantically rich documents in web applications. ppx_sexp 0.3.0 ppx_sexp is a ppx preprocessor for embedding S-expressions in OCaml programs. gensqlite 0.1 A ppx preprocessor to generate SQLite3 prepared statements and query functions. mmseg 0.1.1 A word identification system based on the maximum matching algorithm. mirage-seal 0.4.2 Serve static files over HTTPS, using Mirage+ocaml-TLS. oloop 0.1.2 Evaluate code through the OCaml toploop for inclusion in educational material. sgf 1.0 Parser and pretty printer for SGF files. xe-unikernel-upload 0.5 A simple tool to upload a Unikernel to a XenServer pool. tcx 0.25.0 OCaml library for parsing and formatting Training Center XML files. owebl 0.1 A fast, light, and concurrent web framework inspired by Flask and Sinatra. pa_test 112.24.00 Quotation expander for assertions. gpx 1.1.1 Conversions between XML and GPX (1.1) types. genlet 201406 Let-insertion for MetaOCaml. fstreams 0.2.1 Functional, lazy, infinite streams. topology 0.4.0 A library for working with network topologies. batsh 0.0.6 A (C-like syntax) programming language that compiles to Bash and Windows Batch. ivy 1.3.1 This OCaml-library interfaces the Ivy software bus C-library. release 1.1.1 Release is a multi-process Lwt-enabled daemon framework for OCaml. ranger 0.1.0 A consecutive range slice library for strings, arrays, etc. osm_xml 0.0.1 Library for parsing OpenStreetMap XML dumps. oolc 0.3 An Ocaml implementation of Open Location Code. ollvm 0.99 ollvm library offers an interface to manipulate LLVM IR in pure OCaml. xmldiff 0.5.0 Diffs on XML trees. caravan 0.0.2 A framework for testing arbitrary systems, in OCaml. litiom 4.0 Extensions to Ocsigen's Eliom. meta_conv 1.1.5 Meta conv, type_conv for various tree data formats. procord 0.2.0 Procord: a portable library to delegate tasks to other processes. sarek 20140620 GPGPU kernels DSL for OCaml. coinst 1.9.1 Coinst tool suite to perform analysis on package repositories. gadelac 0.6.1 Preprocessor for the Game Description Language. freetennis 0.4.8 Free Tennis, a free tennis simulation. ojwidgets 0.1 Browser widgets in OCaml with js_of_ocaml. maildir 0.9.0 This is a preliminary release of an OCaml library to access directories in the Maildir format. merlin-acme 0.1 Merlin interface for acme. acme 0.1 A library to interact with the acme text editor. combine 0.55 Combine is a library for combinatorics problem solving. enumerate 111.08.00 Quotation expanders for enumerating finite types. irrlicht 0.0.3 An OCaml binding for the Irrlicht Engine. smart-print 0.2.0 The pretty-printing library which feels natural to use. 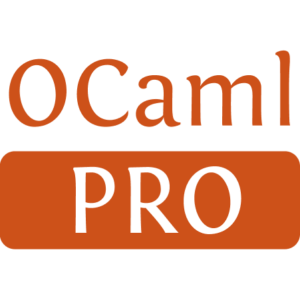 ocaml9p 0.4 ocaml9p is a library for the 9p protocol. termbox 0.1.0 Bindings for the termbox library, minimalistic API for creating text-based interfaces. obigstore 0.9.1 Client/server + embeddable semi-structured database. gen_server 2.0.2 An Erlang-like gen_server framework written for Async. simple-bmc 0.0.1 A tool to translate Hybrid automata into SMT formula which is solvable by dReal(https://github.com/soonhokong/dReal). flow 0.3 Deprecated exceptionless “systems” library on top of Core and Lwt. baardskeerder 0.5.2 Baardskeerder is an append-only B-ish tree. scrypt 0.2.1 C bindings and a high level interface to the official scrypt distribution. reins 0.1a Persistent data structure library from OCaml Summer Project 2007 sponsored by Jane St. Capital. aez 0.3 Alt-Ergo Zero is an OCaml library for an SMT solver. ansicolor 0.5 Simple ANSI terminal color library (deprecated in favor of ANSITerminal). apalogretrieve 0.9.6-4 Retrieve data from an Apache logfile with a syntax derived from the SQL language. argot 1.1 An enhanced HTML generator for the ocamldoc tool of the OCaml language. blahcaml 2.1 Blahcaml provides basic OCaml bindings to the Blahtex library. dbforge 2.0.1 A tool to describe database schemas and generate OCaml code to access these databases. flowcaml 1.07 Flow Caml is an extension of OCaml with a type system tracing information flow. froc 0.2.2 Jake Donham's Froc library for functional reactive programming in OCaml. fury-puyo 0.5 Fury Puyo is a free clone of the Puyo Puyo game. gtktop 2.0 A small library to ease the creation of graphical toplevels. inspect 0.2.1 Inspect the runtime representation of arbitrary OCaml values. mascot 1.0 A style-checker for OCaml sources (code, documentation, interface, metrics, and typography). nit 0.6 Nit, a static analysis tool, checks whether a java bytecode program is NullPointerException free. numerix 0.22 Big integer library, written by Michel Quercia. Compares well to GMP. ocaml-buddy 0.6.1 Bindings for the Buddy BDD library. ocamldot 1.0 OCamldot is a small library to parse, print and display graphviz dot files. ocsfml 2.0 Binding to the C++ SFML gaming library. odisco 0.1.3 OCaml library for Disco workers. pa_ovisitor 1.0.0 CamlP4 type_conv module to auto-generate visitor, folder, mapper from type definitions. patoline 0.1 A new typesetting system, programmable in ocaml. promela 0.4.2 Library to create, manipulate and reason about PROMELA data structures. wget 0.1.0 Basic wget-like client, based on the Citrix' HTTP library. zephyrus 0.1 Zephyrus automatic configuration generation tool.